With the 2009 BIG EAST Women's and Men's Basketball Championships including more games and more teams than in any previous year, the conference is announcing unprecedented online coverage of the tournaments on www.BIGEAST.org, powered by JumpTV. Telecom operators believed they had found the next killer application after the IPTV debut in 2000. Since growing almost 85% from less than 3 million subscribers in 2006, to 5.5 million in 2007, adoption rates are slowing steadily. Experts predict a weak economic atmosphere through 2010. With this in mind, Frost & Sullivan revised the previous year's growth forecast of a 3-year CAGR 29% downwards to less than 15%. A change in media consumption patterns should mark a turning point in the telecommunications and media industries. PeerTV will launch its new edition of MX 3.0 client/server technology at IPTV World Forum 2009, to be held on 25-27 March in London, prevailing a new concept of products and services that enable the launch of advanced Internet Media service, targeting TVs as the display device. PeerTV will demonstrate at the forum the new version of MediaXplorer widget-based application, PeerTV's MX Gateway 3.0 technology (MX 3.0), running on PeerStation advanced internet TV STBS. The MX 3.0 technology presents a revolutionized approach to cost-effective implementation of modern, enticing broadband TV user-experience. With MX 3.0 application and technology operators can offer a convenient and intuitive media browsing for connected TVs, bringing a rich world of personalized content to home TVs via broadband networks or the open Internet. MTS Allstream selected 2Wire's HomePortal intelligent gateways to enable a major expansion of its IPTV services in Manitoba, Canada. This expansion is part of MTS's long-term broadband evolution strategy to bring television, Internet, phone, and home security and automation together on one simple platform. MTS's expansion effort has already started with a rollout in Portage la Prairie, Manitoba. Additional rollouts in the cities of Winnipeg and Brandon are planned for 2009. Alcatel-Lucent announces that Codetel launched a nationwide IPTV offering, providing subscribers across the country with high-quality TV programming, video on demand and other multimedia content services. Enhanced features include picture in picture, karaoke entertainment and digital video recording. The new IPTV service – supported by Alcatel-Lucent’s end-to-end IPTV solution, including the Microsoft Mediaroom IPTV and multimedia software platform - offers Codetel’s customers an enhanced video experience. It positions Codetel as the first operator to provide advanced new features in the Dominican market, such as video on demand and pause-live TV. The service complements Codetel’s existing voice and broadband Internet access service, enabling the operator to offer one of the first complete “triple play” packages in the Caribbean. Ooyala and Joost announce that Joost will use a new set of ingestion, transcoding and metadata management tools provided by Ooyala. Through this integration, Ooyala and Joost have developed a custom version of Ooyala’s cutting-edge content ingestion, transcoding and analytics platform that will provide a set of upload tools for select Joost partners. We were quick to report on Anheuser-Busch's plan to launch Bud.TV back in September of 2006. However, like all good things they must come to an end. After two years Bud.TV has run dry and Anheuser-Busch pulled the tap from its live and on-demand programming network. As of last Wednesday a message informs visitors that the site has closed and directs people to Budweiser.com and Budlight.com. Bud.TV went live in January 2007 after much fanfare following the 2007 Super Bowl to target younger, drinking-age men. The site featured 24-hour live and on-demand programing content, such as Webisodes, sporting events, consumer generated content, field reports, celebrity interviews, music downloads and comedians. Although the average visitor spent seven minutes each time logged in the website had seen a dramatic drop in traffic. Adidas.TV is suiting up to launch an Internet-based entertainment network for video content produced by Adidas and its partners. The website will include channels devoted to sports as well as an "Originals" channel, which will feature short videos on style. Expected to initially launch with a library of 75 videos featuring atheletes as the NBA's Dwight Howard and Chauncy Billups. Adidas will be attempting to drive commerce through the displayed content. Video's will be linked to specific products and visitors can click on banner ads next to the video for more specifics about the products. Users can also send product information to their mobile phones and browse certain content. Adidas.TV users will be able to share content by sending videos and other content to blogs or by adding it to social networking sites. Adidas.TV will be available in 34 countries and in 16 languages. It will first be open to English-speaking countries before going global. 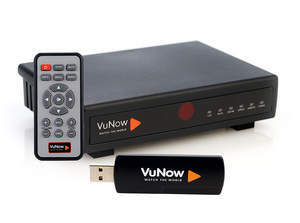 Verismo Networks VuNow Internet TV platform was voted "Best New Product idea" during informal polling by cable technology executives gathering at the CableLabs Technology Forum 2009 held February 8-11 at The Broadmoor Resort in Colorado Springs. Attendees at the CableLabs Forum included, but were not limited to, executives from Comcast Cable Communications, Charter Communications, Cox Communications, and other service providers. Verismo was among 10 companies invited to present and demonstrate cutting-edge broadband technologies at the CableLabs Innovation Showcase. Albis Technology will present its latest generation of STBs at the IPTV World Forum in London (25 - 27 March 2009). The Albis STBs feature unique performance and versatility. This gives operators seemingly endless possibilities for IPTV and TV broadcasting applications, as well as for on-demand and other interactive services. The highlight of the exhibition will be, among other things, the Albis STB 77xx series hybrid models, which support both HD TV via IP and DVB reception. Moreover, visitors will be shown how DVB programs can be enhanced with Internet access (on an IP/DVB-T basis). The so-called "Universal Media Framework" is especially noteworthy in this context. It enables seamless integration of web-based services such as YouTube and supports all major video formats. Prime Time Communications intends to acquire Utah-based internet service provider Mstar in a deal that will benefit both companies and provide Mstar subscribers with enhanced voice and video services. Prime Time Communications and Mstar have been working on this deal for several months and plan to finalize the transaction in March. Prime Time Communications is an Englewood, Colorado-based, fiber-to-the-home internet, video, and phone provider. Prime Time’s IPTV and phone products will be important new offerings for Mstar’s customer base. Broadband has transformed video viewing habits in Western Europe, where over 20% of broadband households have watched a film or TV program online in the past six months, according to international research firm Parks Associates. A new white paper, The Impact of Online Video in Europe , addresses these changes in viewing habits, a key area of focus at the upcoming CONNECTIONS Europe Summit, hosted by Parks Associates. 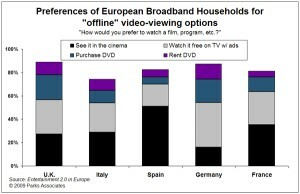 European consumers are adopting online viewing habits with some reluctance, however. The white paper reports that for all the countries surveyed, the U.K., Germany, Spain, Italy, and France, over 80% of broadband households prefer a more traditional option for viewing video, including going to the cinema or watching a DVD. Many consumers are watching video online only because of the availability of free content, both legitimate and illegitimate. Hannover Fairs announced the speaker line-up for the IPCentral and WIRELESSWorld forums at CeBIT 2009, where leading vendors, trade groups, and independent experts in the field of IP and wireless communications will present advances in unified communications and network design as well as discuss likely future developments in the communications sector. Despite their relatively short market history, Telco IPTV providers are well-positioned, and lead in customer satisfaction and brand loyalty, according to a survey just published by analyst firm Strategy Analytics. Over 80% of Verizon FiOS and AT&T U-Verse television customers reported to be “very” or “extremely” satisfied with their provider. Cable customers, on the other hand, had the lowest satisfaction levels, with Time Warner Cable subscribers the most likely to churn if offered a compelling price discount. Broadcasting, Radiocommunications & Television Concern of Ukraine, International Public Organization and TECHEXPO Company, organizer of EEBC Telecom&Broadcasting are continuing a series of conferences within the program “Ukraine on Air”. Aim of the Program to raise the professional level of mass media specialists by means of providing educational and training activity. We organize and hold the series of international scientific and practical events (conferences and seminars, business forums and Round table meetings) aiming at introduction to Ukrainian broadcasters and program service providers the best technologies and advanced world experience of video content production and broadcasting.